New York City Apartment Mold As a renter, you have a right to have a mold problem in or around your rental property remediated in a timely manner. Because mold exposure can lead to chronic and severe health problems, living in a mold-infested home environment presents all sorts of problems, legal and otherwise. As a tenant, you can take measures to prevent mold from appearing in your NYC apartment or condominium. Some things you can do include: Making sure any moisture or wet spots anywhere in your apartment are cleaned up immediately. If water or moisture reoccurs, check for the source. Checking your HVAC unit drip pan for water or leaks on the floor Controlling the humidity level of apartment with a dehumidifier. Make sure your clothes dryer vents are not broken and vent properly to the outside of your building. Problems that may be related to the apartment building itself (such as plumbing, roof leaks and structural damage) may require more extensive work and would be your landlord’s responsibility. If mold is found in your apartment, you should first report the problem to your landlord and keep careful documentation of all correspondence. You may find a small amount of mold and decide to clean it up yourself. For tenants who choose to remove mold themselves, there are potentially serious risks. For example, wallpaper or tile removal can release a large amount of mold spores. Without following the proper safety guidelines, it can lead to mold spores spreading to other areas of the apartment. If the mold growth is caused by the landlord’s negligence, then you may have a legal claim against your landlord. Keep receipts of all expenses related your own cleanup costs and medical bills related to the issue. You have the right by law to withhold your rent or to seek an abatement (which is a reduction in the amount owed.) However, there are potentially serious consequences for withholding or not paying your rent. You should seek the counsel of an experienced tenant attorney or tenant advocate before taking such actions. If you are a New York City apartment owner or landlord and have received violation notices for mold, we can perform a free visual inspection and provide an estimate for you. Unfortunately, we cannot set up any appointments through tenants – everything must be done through the landlord or homeowner. Call 888-250-6653 today for a free consultation. 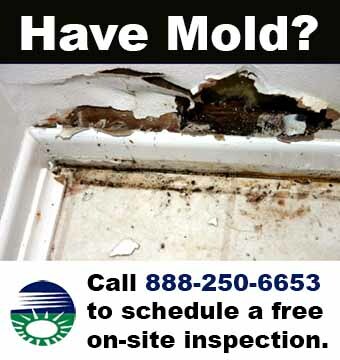 As a renter, you have a right to have a mold problem in or around your rental property remediated in a timely manner. Because mold exposure can lead to chronic and severe health problems, living in a mold-infested home environment presents all sorts of problems, legal and otherwise. Making sure any moisture or wet spots anywhere in your apartment are cleaned up immediately. If water or moisture reoccurs, check for the source. Controlling the humidity level of apartment with a dehumidifier. Make sure your clothes dryer vents are not broken and vent properly to the outside of your building. Problems that may be related to the apartment building itself (such as plumbing, roof leaks and structural damage) may require more extensive work and would be your landlord’s responsibility. If mold is found in your apartment, you should first report the problem to your landlord and keep careful documentation of all correspondence. You may find a small amount of mold and decide to clean it up yourself. For tenants who choose to remove mold themselves, there are potentially serious risks. For example, wallpaper or tile removal can release a large amount of mold spores. Without following the proper safety guidelines, it can lead to mold spores spreading to other areas of the apartment. 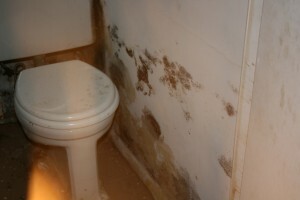 If the mold growth is caused by the landlord’s negligence, then you may have a legal claim against your landlord. Keep receipts of all expenses related your own cleanup costs and medical bills related to the issue. You have the right by law to withhold your rent or to seek an abatement (which is a reduction in the amount owed.) However, there are potentially serious consequences for withholding or not paying your rent. You should seek the counsel of an experienced tenant attorney or tenant advocate before taking such actions. If you are a New York City apartment owner or landlord and have received violation notices for mold, we can perform a free visual inspection and provide an estimate for you. Unfortunately, we cannot set up any appointments through tenants – everything must be done through the landlord or homeowner.